Celebrating the best of rural life and attracting more than 60,000 people each year, the Dorset County Show, which began in 1840, will take place this weekend from Saturday 2 September to Sunday 3 September at the Dorchester Showground. Organised by Dorchester Agricultural Society, the annual Dorset County Show attracts more than 60,000 people each year and aims to promote agriculture through competitive classes, trade, and demonstrations. New for 2017 is a live milking demonstration giving show-goers the opportunity see how the modern day dairy farmer produces milk. The jam-packed Dorset County Show programme promises to offer something for everyone from agricultural enthusiasts, to families wishing to entertain their children. This year’s main ring attraction will include Jonathan Marshall with a falconry display on horseback, as well as show jumping, fast paced scurry racing and a grand parade of livestock each day, showcasing the finest cattle in the south-west. The Symonds and Sampson countryside ring also offers a programme crammed full of rural entrainment, including terrier racing and the Dog and Duck Show. 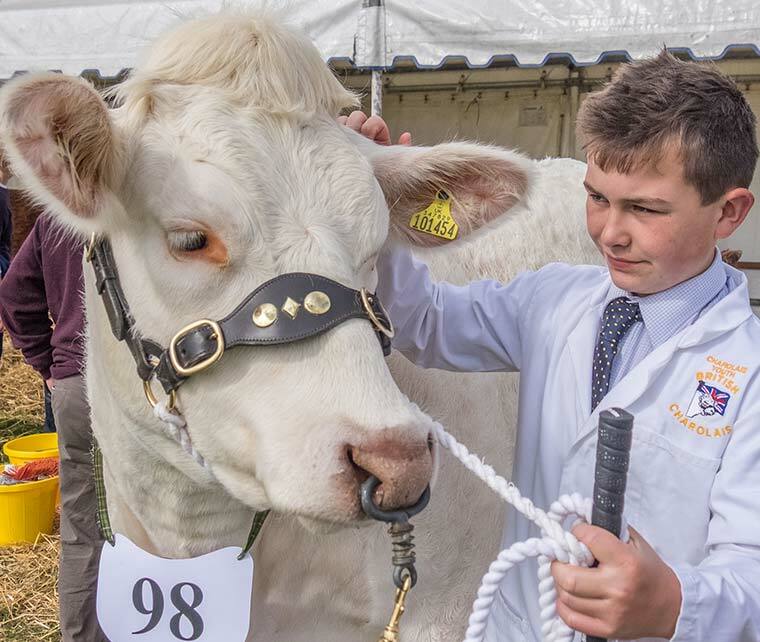 Competitive classes will be taking place for more than 20 different types of cattle, over 30 different types of sheep, goats and pigs, as well as in homecraft, horticulture and sheep shearing. Displays will also be put on throughout the weekend of poultry, rabbits and alpacas. Overall there has been an increase in entries for this year; in particular horticulture has seen a 23 per cent increase and homecraft has just fewer than 2,000 entries making it the largest homecraft competitive class in the south-west. Dorset foodies can look forward to having their taste buds tickled by the range of hand-picked local catering concessions available, including extensive food courts and the ‘Dorset Food Hall’ showcasing local food producers. Local breweries will also be attending, providing refreshments and live entertainment. If you fancy a spot of shopping, more than 450 trade stands will be attending over the course of the weekend and returning for this year, high-end country items will also be found in the specialist ‘Shopping@theAvenue’ marquee. Will Hyde, show secretary, said, ‘‘We can’t wait to welcome everyone to the show with what promises to be a bigger and better programme than before. Each year we work to evolve the show by introducing new attractions, while still keeping true to our roots with agriculture and rural life still being at the show’s core. The advanced ticket sales have soared and we look forward to seeing everyone enjoying the last of the summer sunshine before the children go back to school. Tickets on the gate £17 and children under 16 can enter for free with every paying adult. The show is open from 8.30am to 6pm both days. See dorsetcountyshow.co.uk for more information or call 01305 264249.